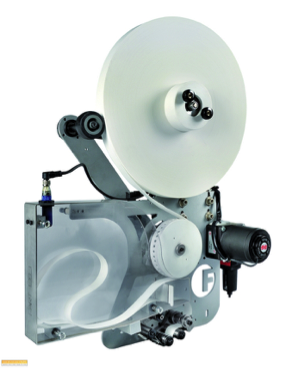 The Altor Verticale is a tape unwinding system through which together with the “Speedy” applicator you can feed and apply tear tape at large quantities which is great for high work loads. With the unwinding system it is possible to easily and economically convert the tape load capacity from a maximum of 500 meters provided by the “Speedy” applicator, up to a maximum of 20,000 meters. 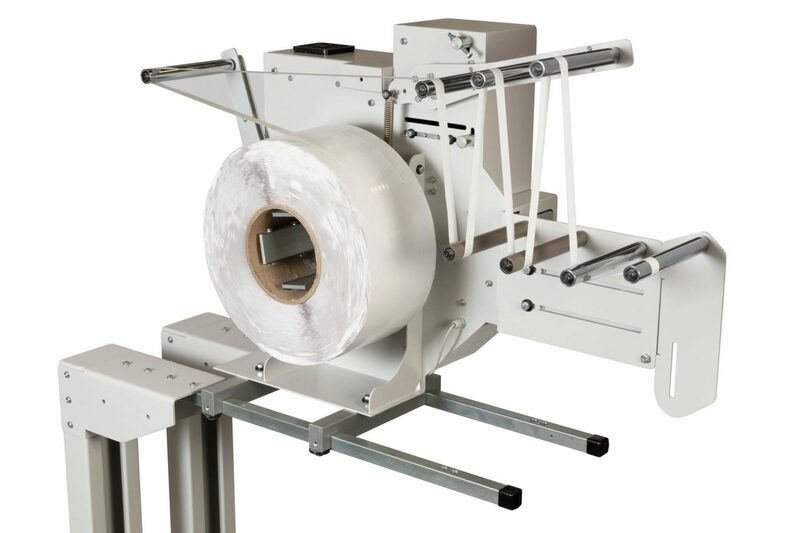 It is a perfect solution for everyone that so looking to considerably reduce the: tape roller changing times, with the benefit of higher production, without loss of time due to frequent machine stops to replace the roll of tape, on the “Speedy” applicator. he Altor Verticale is a tape unwinding system through which together with the “Speedy” applicator you can feed and apply tear tape at large quantities which is great for high work loads. 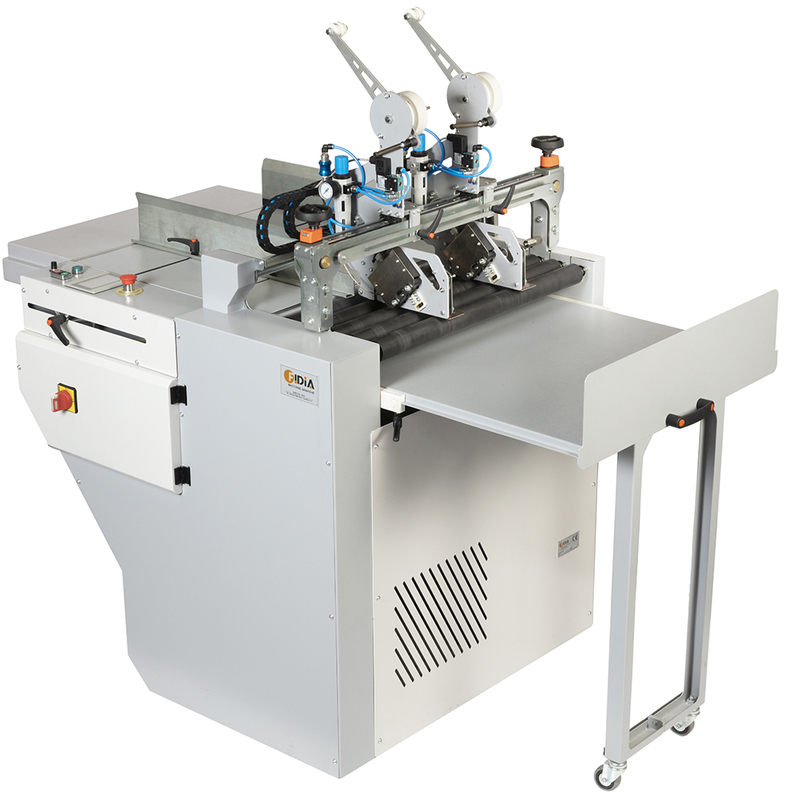 The Altor Verticale is a tape unwinding system through which together with the “Speedy” applicator it is possible to feed double sided tape,. It is now possible to easily and economically convert the tape load capacity from a maximum of 500 meters provided by the “Speedy” applicator, up to a maximum of about 20,000 meters. The Altor Verticale is a tape unwinding system through which together with the “Mistral” applicator can be used to unwind and apply silicone tape. 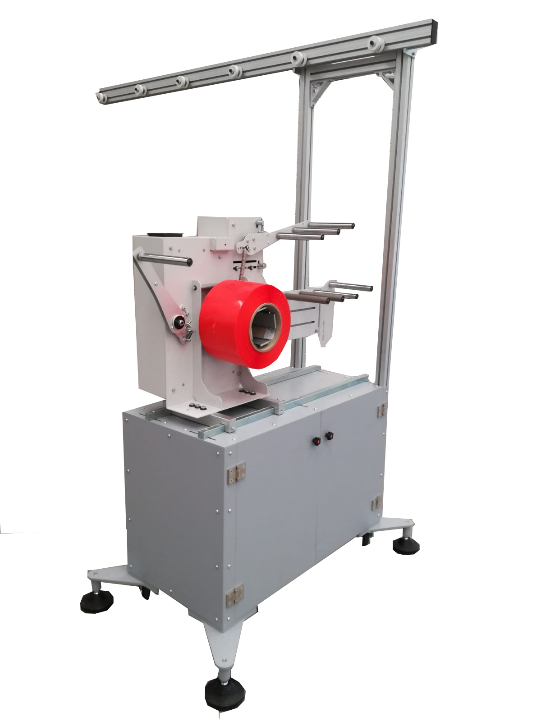 Speedy the double sided tape applicator, designed to apply double sided tape automatically, with our machines or other manufactures machines. The Speedy applicator has been developed to apply the double sided tape automatically. The Mistral silicone tape applicator is a hi-tech product developed to apply silicone tape on top of pressure sensitive adhesive in the large production of envelopes. This unit can be fitted on to a Fidia DOKKI cross unit, as well as to other manufacture’s machine and it requires a hot melt adhesive slot coater. 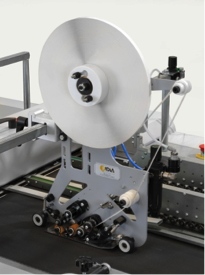 The Borea taping machine is designed for fully automatic application of double sided tape on a wide range of P.O.S. (Point Of Sale) items, such as posters, envelopes, shop displays and so on. For the application of double sided tape on a wide range of P.O.S. (Point Of Sale) items, such as posters, envelopes, shop displays and so on. The friction feeder is very useful or sometimes indispensable, when working with irregular shapes (e.g. boxes) or a second passage on a product is required, or a small format. Also when continuous running is more effective. 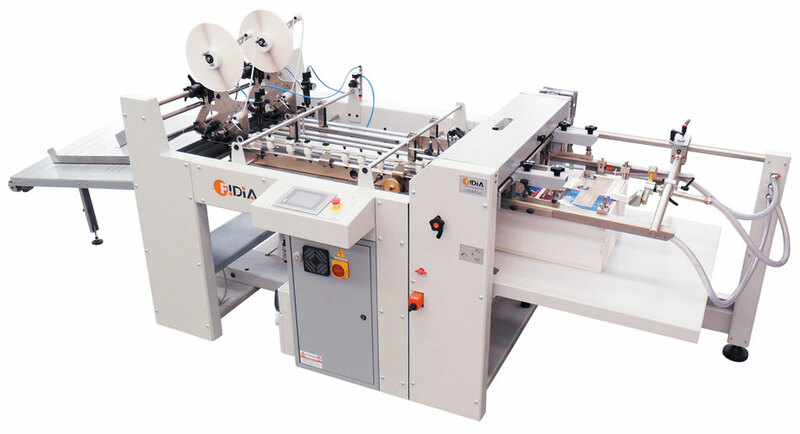 This is a semi automatic taping machine machine which can apply tape on any surface. This machine is a perfect solution for all companies that make smaller quantities. 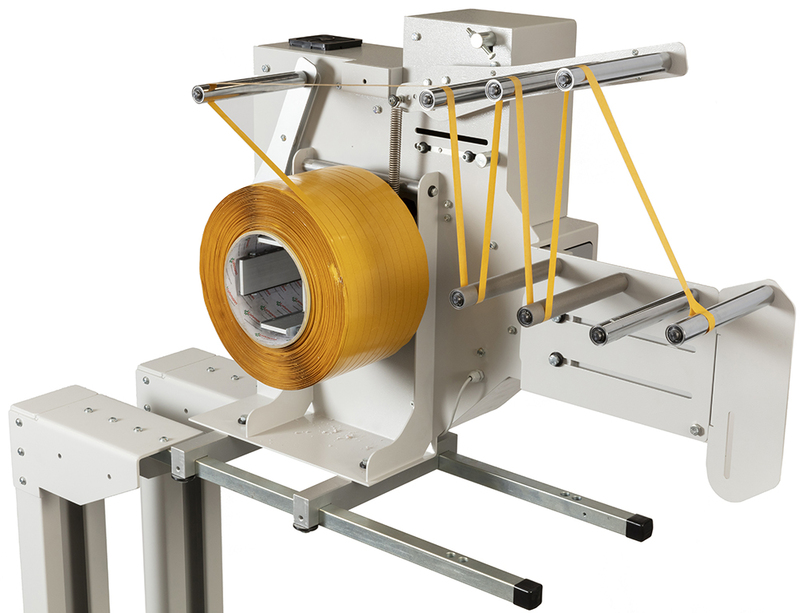 For bigger quantities you may check our automatic taping machine machine.